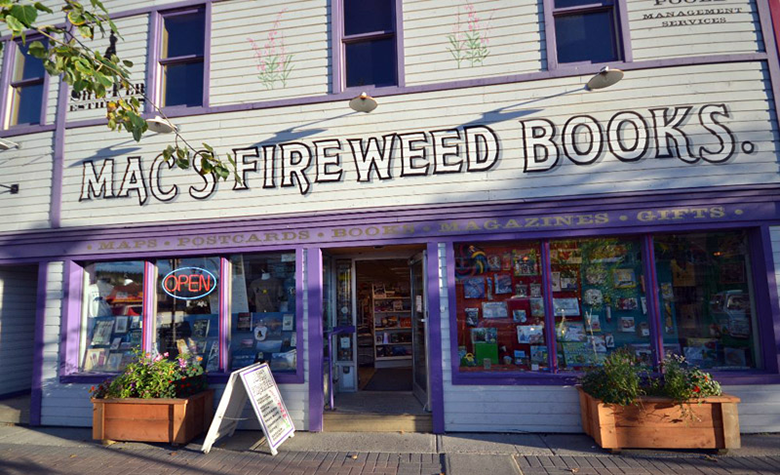 Mac's Fireweed Books is a proud, independent bookstore and a Whitehorse institution. Mac's has a terrific selection of books and newspapers from all over the world. Our store carries the best magazine rack north of 60. And, of course, the best staff around to take special orders and give gift suggestions. You can also browse our out of print books online at Yukon Books. As well, we are the Yukon Territory topographic maps distributor and have a complete selection of Yukon Maps and Yukon Travel Guides. So if you are planning to visit us, make sure to also visit our specialized website; Yukon Books, where you will find books, maps and guides that cover the history, people, geography and everything you need to know about the Yukon.